When a theologian has that effect on a student—as Barth did on me—the theologian is worth reading. Jesus’ spirituality and socio-politics: Jesus, the exemplary human, communicates divine love, a consciousness of forgiveness, a new consciousness of God, and a new ideal of sociality and justice (Schleiermacher, Harnack, Ritschl, and Theodore Jennings). The cross overcomes our enmity towards God and calls us to a new way of life. From Substitution to Representation: Incarnation as Atonement. Atonement occurs not simply in the death of Jesus but in the entirety of his life. The focus is more ontological than moral, more incarnational and participatory, though the question arises, how one does participate. (Irving, McLeod Campbell, T. F. Torrance). Christus Victor Recapitulated: the older account of the atonement demythologised: cultural rather than cosmic powers have been defeated in the work of the cross. Against the violence of the cultural powers which crucified Jesus comes the non-violent ethos of Jesus in the face of violence. This is not a passive submission to violence, but its unmasking through non-violent forgiveness and witness to the reign of God (Aulen, Wink, Weaver). The Cross as an Event in God’s Being: Hegel proposes a metaphysical account in which God overcomes the estrangement between the finite and the infinite by taking alienation and the finite into his own being and overcoming it. God is the reconciliation, the overcoming of opposites. Moltmann proposes a similar eschatological account of the cross as death in God, in which the event of the cross is constitutive of God’s nature as suffering love that takes the whole of created history into itself. Barth, too, sees the cross as an event in God’s being, but as the outworking of the divine self-determination established in the divine election. “The cross is not a contingency plan but part of the content of God’s self-determination to be our God and to embrace humanity as his covenant partner” (195). Following this survey Vanhoozer questions the place of penal substitution in modern evangelical theology noting that it is both criticised and defended by different groups and theologians from within the evangelical camp. Vanhoozer’s comment about defenders and detractors of the doctrine shows these two groups dividing along classic Anselmian-Abelardian lines: “While defenders of penal substitution affirmed divine justice and human guilt, it detractors…emphasized divine love and human repentance” (197). The cross is the climax of the history of the Son’s covenantal mediation, the culmination of the whole triune economy of redemption. The shed blood is a graphic sign that God has proved faithful to his Abrahamic promise (Gen. 17) precisely by undergoing the sanctions, legal (i.e. death by execution) and relational (i.e. exile), for covenant disobedience (Deut. 28:15-68). By dying for us, Jesus makes possible new and expanded ‘in-law’ relationships (Rom. 5:15-19; 8:15), giving us a share in his Sonship (201). It is clear, however, that while Vanhoozer seeks to include the positive contribution of all the approaches, he prioritises the objective nature of the atonement as the ground by which the subjective response might be realised. 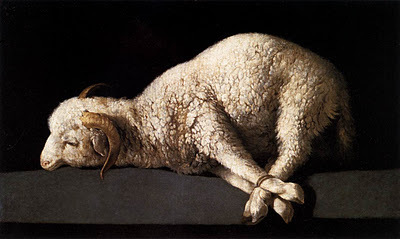 The ‘penal’ nature of the atonement is still present but reimagined within a broader covenantal context and narrative. Jesus’ death is for us and in our place, a redemptive suffering on our behalf. His blood plays a positive role: as witness that he has borne the legal and relational covenant sanctions for us—rejection and death—that we might be given a share in his divine Sonship. Selection: The Church Dogmatics II/2:25-34, The Orientation of the Doctrine of Election. Barth concludes his discussion of the orientation of the doctrine by viewing his three central characteristics through the lens of the gospel. The election of God is not bare choice as though the concept of choice can be absolutized. If we are to understand and explain the nature of this primal and basic act of God, we cannot stop, then, at the formal characteristic that it is a choice. We must resist the temptation to absolutise in some degree the concept of choosing or electing. … It cannot well be denied that there has taken place such an absolutizing of the concept of electing, or of its freedom, with the accompanying influence of a non-Christian conception of God, in the history of the doctrine. … As against that, we must take as our starting-point the fact that this divine choice or election is the decision of the divine will which was fulfilled in Jesus Christ, and which had as its goal the sending of the Son of God (25). The freedom of God’s decision is not an abstract freedom, but the freedom of the God who loves in freedom. God’s love is the movement toward fellowship, ultimately expressed in John 3:16. Election can be understood only in these terms, and therefore, only as gospel. “What takes place in this election is always that God is for us; for us, and therefore for the world which was created by Him, which is distinct from Him, but which is yet maintained by Him. … This much is certain, that in this election…God loved the world. (25-26). 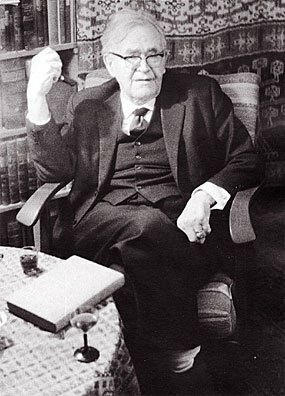 Barth acknowledges that God’s love toward the world may be resisted and opposed and that there remains a “definite sphere of damnation ordained and determined by God as the negation of the divine affirmation…but the divine affirmation, the divine willing as such, is salvation and not damnation. The message of God’s election means always the message of the Yes determined and pronounced by God” (27). Even in hell we can think only of the love of God; we may have refused God’s election but God has not refused us. “In that decree as such we find only the decree of His love. In the proclaiming and teaching of His election we can hear only the proclaiming of the Gospel” (27). 1. That the freedom of God’s grace and decision unconditionally precedes the creature and so is the ground of the “final and severest humiliation of the creature” (28). God is free to say Yes and, Nevertheless, in the face of human opposition, and so free also to forgive our sins and overcome our resistance to him (31). God’s Yes is his final word and ultimate intent, and is the word which we must declare. The human No is vanquished in the divine Yes; i.e. it cannot be ultimate. Neither, however, can the creature despair. It is humiliated, decentred and relocated, not in autonomy but in the overarching sphere of divine grace. Does this mean human decision is not real? No, but it does mean that it is not ultimate. He is free rather, and His hand is almighty, in the fact that He can rescue the creature from the destruction into which it has plunged itself by its opposition. He is free in the fact that He can turn it in spite of itself to the salvation and life which are the positive and distinctive meaning and goal of His love. And it is that which God elects (28-29). 2. That the mystery of election remains: it is grounded in God’s own good pleasure which knows no “Wherefore”, that is, no cause outside of God’s own good will. Because it remains inexplicable to us, we can but bow before the gracious God and submit ourselves to him. Confronted with the mystery of God, the creature must be silent: not merely for the sake of being silent, but for the sake of hearing. Only to the extent that it attains to silence, can it attain to hearing. But, again, it must be silent not merely for the sake of hearing, but for that of obeying. For obedience is the purpose and goal of hearing. Our return to obedience is indeed the aim of free grace. It is for this that it makes us free. … In its very character as unseaerchable the election of God demands as such our obedience. It is not proclaimed to us, nor does it reach us…if in and with that election there is no summons to obedience—quite irrespective of the accusation laid against us, the curse resting upon us, the death showing our whole life. From these very things the election of grace has, in fact, released us (30). Whereas, therefore, in God’s freedom human decision is relativised, in God’s mystery it is required. Election calls for obedience and worship, silence and hearing. Yet obedience is not self-effort, merit or even confirmation of our election. It is acknowledgement; that is, the believer is called to an obedience already fulfilled, and therefore this call is gospel, a call to peace. God’s yes to the creature is total and eternal; God has claimed the creature as his own, and thus claimed, “it has no longer any need to justify itself, to defend itself, or to save itself. It may be silent and still before this mystery” (32). God does not acquiesce in the creature’s self-destruction as its own enemy. He sees to it that His own prior claim on the creature, and its own true claim to life is not rendered null and void. He cares for the creature as for His own possession. And in seeking its highest good, He magnifies his own glory. We cannot distinguish God’s kingly righteousness from his mercy (34). Darren Sumner has been writing on the Eternal Functional Submission controversy in Evangelical Theology. His careful work is worth reading. In other words, there is no dispute that the Son submits to the Father in the economy, or in God’s life ad extra. The thing under dispute — the only thing under dispute — is whether this submission also obtains in the immanent Trinity, in God’s life ad intra. This is why specificity here is crucial. But it is crucially absent from most of what Ware, Grudem, and their supporters have written. And not just in America! In Australia, too, this is a growing popular sentiment that in my view, threatens the intellectual heritage and cultural fabric of free societies. This sentiment is already very prominent in the often hostile and facile political discourse of our country. If our universities are teaching students that their emotions can be used effectively as weapons—or at least as evidence in administrative proceedings—then they are teaching students to nurture a kind of hypersensitivity that will lead them into countless drawn-out conflicts in college and beyond. Schools may be training students in thinking styles that will damage their careers and friendships, along with their mental health. Attempts to shield students from words, ideas, and people that might cause them emotional discomfort are bad for the students. They are bad for the workplace, which will be mired in unending litigation if student expectations of safety are carried forward. And they are bad for … democracy, which is already paralyzed by worsening partisanship. When the ideas, values, and speech of the other side are seen not just as wrong but as willfully aggressive toward innocent victims, it is hard to imagine the kind of mutual respect, negotiation, and compromise that are needed to make politics a positive-sum game. The presumption that students need to be protected rather than challenged in a classroom is at once infantilizing and anti-intellectual. Selection: The Church Dogmatics II/2:12-24, The Orientation of the Doctrine of Election. Barth then develops his next major point, namely, that the doctrine of election must be understood as gospel, as grace. There can be no parallel or coordination of election and reprobation otherwise the good news becomes “bad news” (12-18; the reference to “bad news” is on page 18). The truth which must now occupy us, the truth of the doctrine of predestination, is first and last and in all circumstances the sum of the Gospel … Its content is instruction and elucidation, but instruction and elucidation which are to us a proclamation of joy. It is not a mixed message of joy and terror, salvation and damnation. … The election of grace is the sum of the Gospel—we must put it as pointedly as that. But more, the election of grace is the whole of the Gospel, the Gospel in nuce. It is the very essence of all good news (12-14). Barth acknowledges that the doctrine “throws a shadow” (13), but insists that the No must be spoken only in service of the Yes which is the first and last word. For Barth, the doctrine must be understood unequivocally as gospel. Barth notes that this positive statement of the doctrine has been asserted throughout the tradition, which indicates its “evangelical character.” Barth provides a brief biblical overview of the nature of election as grace in which he insists that there are not two columns in the Book of Life, but one column only. Whence, then, the doctrine of “double predestination”? Barth traces the concept through Augustine, Aquinas, Isidore of Seville, Gottschalk, Luther, Zwingli, Calvin, and the Arminians. The basic demand by which any presentation of the doctrine must be measured, and to which we ourselves must also conform, is this: that (negatively) the doctrine must not speak of the divine election and rejection as though God’s electing and rejecting were not quite different, as though these divine dealings did not stand in a definite hierarchical relationship the one with the other; and that (positively) the supremacy of the one and subordination of the other must be brought out so radically that the Gospel enclosed and proclaimed even in this doctrine is introduced and revealed as the tenor of the whole, so that in some way or other the Word of the free grace of God stands out even at this point as the dominating theme and the specific meaning of the whole utterance (18). 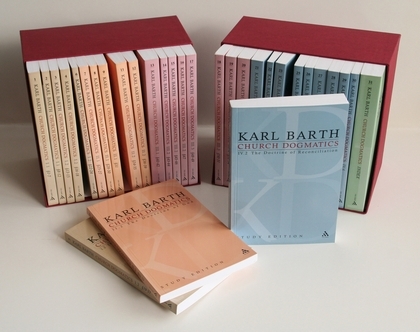 Barth identifies three central characteristics which all “serious” conceptions of the doctrine have in common: “they all find the nerve of the doctrine, the peculiar concern which forces them to present and assert it, in the fact that it characterizes the grace of God as absolutely free and thereby divine” (19). This grace is free, mysterious, and righteous (18-24). There is no cause for election other than God’s free grace. No works or righteousness or even faith are the ground for being elect. God’s grace and therefore his election is mysterious and incomprehensible, and so can be investigated only in faith and adoration. God cannot be called to account before the bar of human reason. Finally, the tradition has also insisted that in the exercise of his free and mysterious grace, God is also righteous. At this point, Barth qualifies the tradition insisting that only as we understand who God is can we agree that election is righteous. If the believer’s agreement is forced, if they harbor secret questions, doubts or protests about the nature of election, it is not true adoration: “We are not bowing before the caprice of a tyrant. Our submission cannot be such that it is accompanied by a still-remaining and ever-increasing inward complaint and resistance” (22). There can be no sacrifice of the intellect in this matter; conversely, we must allow our intellect to be instructed by God: the fear of the Lord is the beginning of wisdom. Barth provides a number of citations from Calvin (23) in which Calvin argues that “God’s will is reason” because God is perfectly just and the fount of all justice. There is no higher court of appeal to which God must give account. God’s justice may be secret; it is also blameless. For the will of God is so much the highest rule of justice, that whatever he wills must be considered just. So when it is asked why God acts in such-and-such a way, it must be replied, ‘Because he wills’. But if you go further, and ask why he has willed it, you ask for something greater and more sublime than the will of God, which cannot be found … We are not describing a lawless God, who is a law unto himself… The will of God is not only pure of all wickedness, but is the purest rule of perfection, even the law of all laws [Inst. iii.23.2]. If a mortal man pronounced that he willed or commanded that his will was to be reason, I would say his statement was tyrannical. But to extend that to God is a terrible sacrilege. For it is not permissible to attach anything improper to God, such as that desire springs up in him as it does in men. But by this merit of honour, it is attributed to his will that it be worthy of being reason, since it is the fount and rule of all justice (23; Congrég. C.R. 8, 115?). Barth thus accepts these three primary characteristics of the doctrine of election in the tradition. 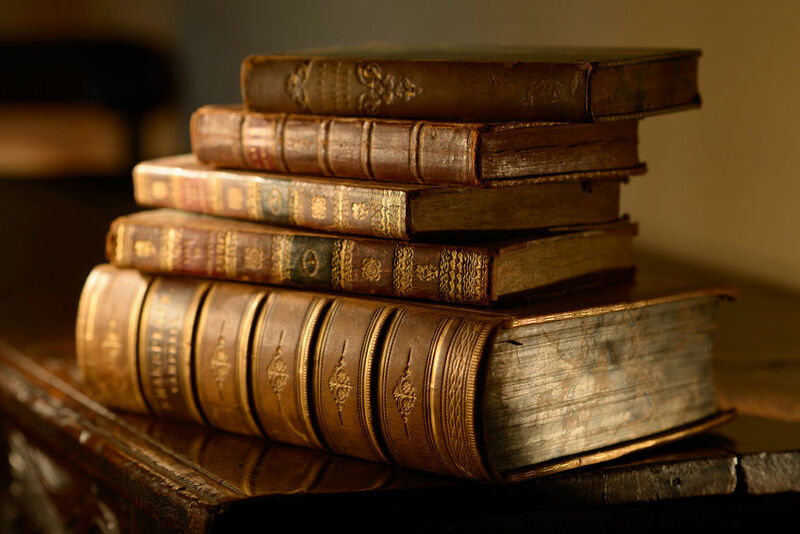 To the degree the tradition expounded Scripture as testimony to the work of the triune God, it may be considered Christian theology, and their intention—if not their results—may be accepted (24). Therefore he concludes this discussion of the orientation of the doctrine by viewing these three central characteristics through the lens of the gospel (25-34). The election of God is not bare choice as though the concept of choice can be absolutized. 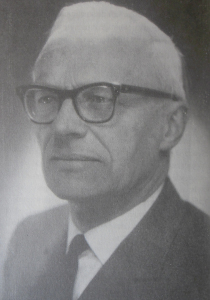 Gerrit C. Berkouwer reflects on the reliability of Scripture in light of its dual nature as ‘the Word of God and the word of man.’ No theory of inspiration is adequate which does not “agree with the ‘phenomena’ of Scripture” (Berkouwer, Holy Scripture, 242). Still, the reliability of Scripture is a critical religious matter, correlated with trust. “The reliability of God is the unshakable foundation of such a trust; … However, one should not think that he enters into an entirely different sector of trust when considering the reliability of Scripture” (241). Yet the kind of reliability Berkouwer has in mind is not that of the precision, accuracy or exactness of, for example, modern historiography; modern concepts of reliability are foreign to Scripture. He is not concerned by “innocent inaccuracies” (245). Nor is Scripture intended to instruct us concerning the composition of the cosmos or of the human person. “The purpose of Scripture is directly aimed at the revelation of God in this world and to man” (245, original emphasis). As Ridderbos writes, the evangelists did not intend to give “an historical narrative of Jesus’s words and works but a portrayal of Jesus as the Christ.” This is the character of our gospel, or, expressed in other terms, not report but witness (247, original emphasis). If absolute preciseness and exactness is seen as the ideal, excluding all interpretive subjectivity, in order to render ‘facts’ as objectively as possible, we must conclude that the Gospels do not coincide with this ideal and therefore are not reliable (248). The reliability of Scripture, therefore, is in accordance with its purpose, not the character of its precision or otherwise. Thus, various emphases on witness, truth, and reliability are clearly evident (Jn. 19:35; 21:24). But these are not in opposition to a freedom in composing and expressing the mystery of Christ; their purpose is rather to point in their testimony to that great light. … For the aim of the portrayal was not to mislead and to deceive; it was not even a ‘pious fraud,’ for it was wholly focused on the great mystery. This explains why the church through the ages was scarcely troubled by the differences pointed out long before, and by the inexact, non-notarial portrayal. A problem was created only as a result of attempts at harmonization and the criticism that followed (252). That is, the church has long recognised—and been unconcerned about—discrepancies of detail in the gospels. The problem arose as a result of harmonisation and historical criticism and led subsequently to anxiety about inspiration on the one hand, or a conviction that the gospels were unreliable on the other. Both concerns are invalid because they ground the reliability of Scripture on its verbal precision rather than on the content and reliability of the witness to Jesus Christ, and the use made of that witness by the Holy Spirit to guide us to salvation (254, 263). If Scripture is truly what the church confessed it to be in its creed, we should continually be reminded of the prayer during all reading of Scripture: “Come, Creator Spirit!” … The message of Scripture alone, convincing and overwhelming as it is through the power of the Spirit, clearly can lead us quietly to trust this reliability (264). 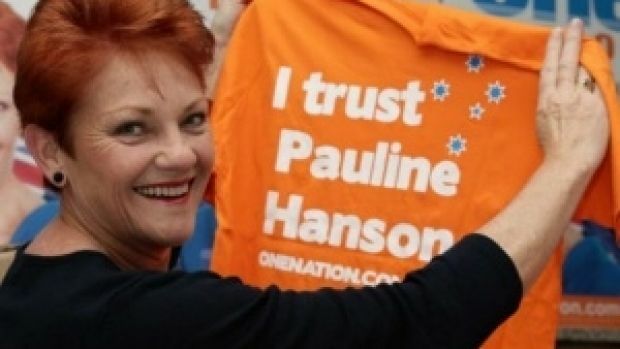 Who Voted for Pauline Hanson? When my demographic profilers compared the Senate votes across states not affected by redistributions, we found the correlation between the PUP [Palmer United Party] 2013 Senate primary vote and the Hanson 2016 Senate primary vote was a robust 0.74. So we know their national votes were about the same, and we know that, at the individual level, they tended to rise and fall together. The demographics underlying both groups looked very similar: Palmer and then Hanson won the bulk of their support in Bible belt seats in the bush or on the fringes of big cities, where we find lower-income voters who did not graduate from high school, frequently relying on welfare cheques to meet the mortgage. I am quite well connected with the church in Perth and do not recognise the church or churches of which he speaks. I am somewhat familiar with larger churches in Melbourne, and there too, I see something different to that which is described here. I was talking to friends in Sydney and they said, “He evidently hasn’t been to any of the evangelical churches here!” They meant that the churches they were familiar with are so middle class they do not reflect anything of this characterisation. Perhaps the churches in Brisbane are quite different. Or not. One of my friends in Sydney said, “Yes, I read that article too; I thought it was dripping with contempt.” John Black didn’t give any data to support this particular claim; I would like to see it. More likely is that he has decided he knows what Christians are like, perhaps based on American caricatures of Evangelicals. Is this another case of the marginalisation (maligning?) of Christians in popular media? Christians read this text as referring to Jesus—a practice as old as the New Testament (see, for example, Acts 8:26-35; 1 Peter 2:24), although the prophet never actually identifies the Servant he is speaking of. This Servant, God’s Righteous One will make many others righteous—he shall justify many for He will bear their iniquities. John Oswalt, following Westermann, reads verse twelve in the light of Isaiah 59:16, “And he saw that there was no man, and he was appalled that there was no one to intervene…” (Oswalt, The Book of Isaiah Chapters 40-66, 407; cf. 528). Because no leader in Israel would or could obtain deliverance for God’s people, God took it upon himself to not simply ‘intercede’ in prayer, but to intervene (mapgȋaʿ) on their behalf. The efficacy of the Servant’s work is the result of his intervention on behalf of transgressors—the unrighteous. He permitted himself to be counted among the transgressors, and indeed, intervened on their behalf. He poured out his soul to death, bearing their sins. Jesus was no unwilling victim, handed over to death by a violent God who demanded blood in order to forgive. He poured out his soul to death taking our place, standing among us, standing in our stead, bearing our sins. Selection: The Church Dogmatics II/2:3-12, The Orientation of the Doctrine . Barth begins his account of the doctrine of election by reviewing the method he has applied in his earlier volume on the doctrine of God; that is, he will allow only Jesus Christ as he is attested in Scripture to be the first and final word in theology. Having established his methodological point, he goes on to insist that the doctrine of God can never be a doctrine of God alone, or put differently, a doctrine of a solitary or isolated God. A Christian doctrine of God—made known in Jesus Christ—includes the reality that God stands in a definite relation ad extra such that we cannot speak of God correctly apart from this relation. This relation is the covenant between God and the man, Jesus Christ, and the people represented by him. God’s decision for this covenant is a divine self-determination such that we can no longer think of God in abstraction from this man, covenant and relation (5-9). Jesus Christ is indeed God in His movement towards man, or, more exactly, in His movement towards the people represented in the one man Jesus of Nazareth, in His covenant with this people, in His being and activity amongst and towards this people. Jesus Christ is the decision of God in favour of this attitude or relation. He is Himself the relation. It is a relation ad extra, undoubtedly; for both the man and the people represented in Him are creatures and not God. But it is a relation which is irrevocable, so that once God has willed to enter into it, and has in fact entered into it, He could not be God without it. It is a relation in which God is self-determined (7). The covenant relation established by God has two aspects. First, because God is the sovereign lord of the covenant it is a covenant of grace, and thus of love and freedom, the covenant of the God who loves in freedom. Second, as Lord of the covenant, God claims humanity as his covenant partner. Grace also rules, and those claimed by God are made responsible to God. As such, election issues in ethics. “Being responsible” is the nature and meaning of human existence. God ordained and created him as partner in this covenant; God elected and called him to that position; and in that position He makes him responsible. How could God draw him to Himself, as He does, without making him responsible? God constitutes this “being responsible” the whole meaning of his existence (12). I came across this quote while writing my post on Sunday and thought it worth sharing. It is a reminder of Nouwen’s prophetic insight and gift.